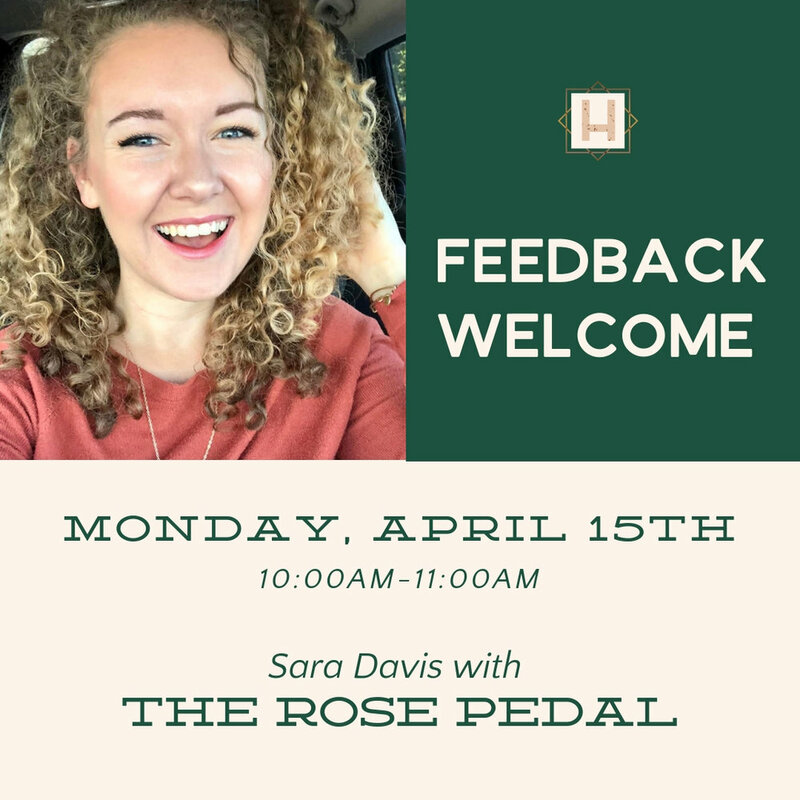 This week at Feedback Welcome we have Sara Davis with The Rose Pedal. The Rose Pedal is a buy by the stem pop up flower cart, partnering with mostly Missouri flower farmers to bring flowers from field to vase. The Rose Pedal is much more than DIY bouquets, it’s designed to be a community builder. My goal is to bring joy to the sidewalks of Columbia with fresh local flowers, while spreading our sustainable goals and mission of the slow flower movement. Sara is in the idea phase of her new business and is looking for all feedback and brainstorming to get her business up and running!